Put some sweet looking racing stripes on every envelope you stick in the mailbox to give it the look of a classic muscle car! 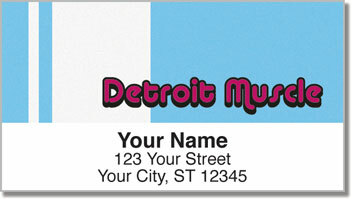 These colorful return address labels were inspired by vehicles like Dodge Chargers, Ford Mustangs and Chevy Camaros with slick paint jobs and souped-up engines! 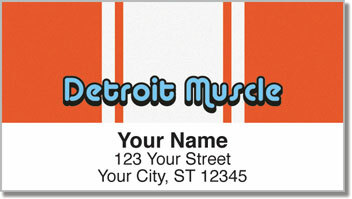 Detroit Muscle Address Labels are also a tribute to the Motor City! You can use them to save time preparing letters and packages thanks to a self-adhesive backing. 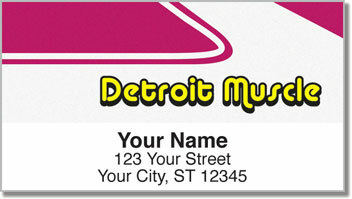 Plus, they work great for marking all sorts of personal property with your name and address. 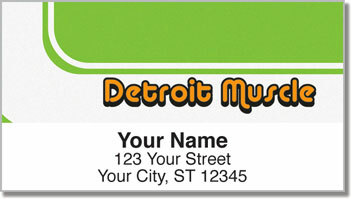 Order your own Detroit Muscle Address Labels from CheckAdvantage today! This original design can also be found as matching personal checks.